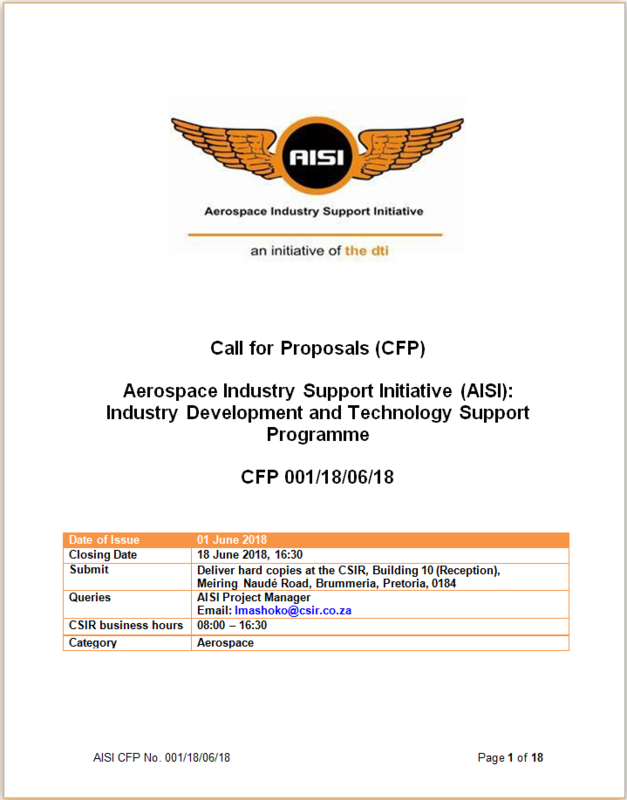 The AISI realises that there is a need to support the local industry; therefore a Call for Proposals (CFP) is issued that aligns to the AISI’s goals; those of the Industrial Policy Action Plan (IPAP 2018/19-2019/20) and the Aerospace Sector Development Plan (SDP). 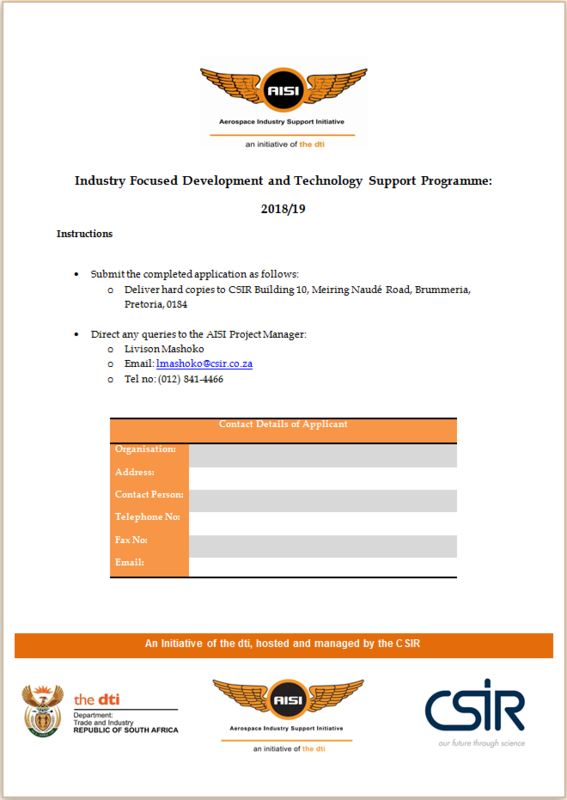 Developing the local content and capability of South African entities. The CFP is open to both local OEMs and SMMEs. The closing date for proposals are 18 June 2018, 16:30.